This month's brand focus features only five products, which is a lot less than I usually review when doing a brand focus but, as with all of my other posts, it's all about honesty and I only own five products from the brand, which this month is Oskia. That being said, some of these have been repurchased on several occasions so my love for them is real and I think I can still give you an insight to what this brand is about from these products. As with my other Brand Focus posts, this is not sponsored. 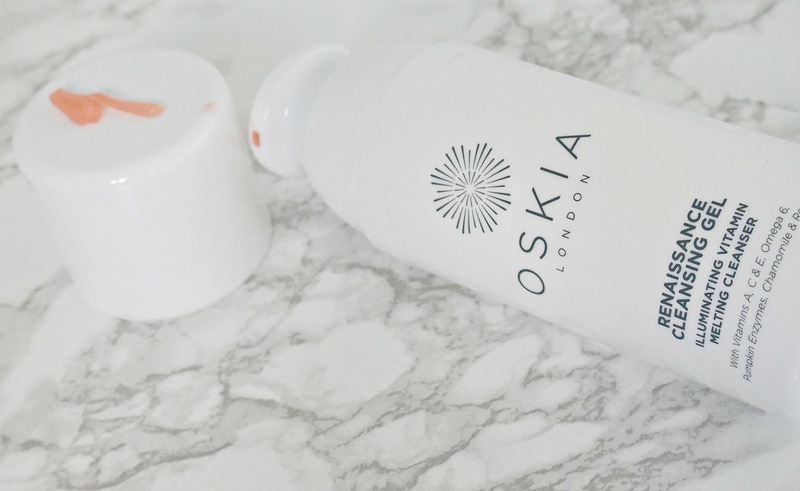 Oskia is a British, family run brand, which began when the founder, Georgie Cleeves, began to take an MSM supplement to help repair the cartilage in her knees following an accident. Her father had previously introduced MSM to the market as a supplement for racehorses and seeing the benefits it also had on her skin, it piqued her interest and years later, Oskia was founded. Georgie works alongside a team of nutritionists, doctors, dermatologists and skincare experts to create the products. Although not a certified cruelty-free brand, Oskia is completely against animal cruelty and all of the products are free from fragrance, artificial chemicals, preservatives, colorants, silicones, petrochemicals, phthalates, sulphates and parabens. Now that I've told you a bit about the brand, let's get on with the products that I know and love! Oskia Renaissance Cleansing Gel: This is probably Oskia's most famous products and the first one that I tried from the brand and one that I have repurchased at least 5/6 times. This is described as an illuminating vitamin melting cleanser and it is suitable for pretty much all skin types. This gel melts into an oil when massaged into the skin, I then use warm water to emulsify before rinsing. The result is soft (due to the Vitamin E & Omega 6), plump, bright skin (due to the pumpkin enzymes) without feeling stripped at all. The only improvement that I could suggest for this product is that I'd like to see the addition of a clear panel on the side of the bottle so I could see when it's running low. I personally use this as my morning cleanser rather than for removing my makeup because I prefer using a balm to melt my makeup away, which leads me to the next product. 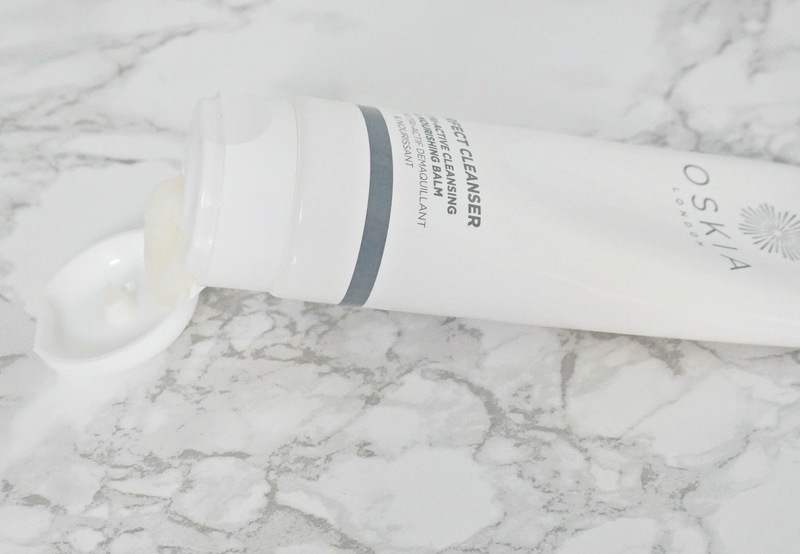 Oskia Perfect Cleanser: I love a balm cleanser and I am unsure why I took so long to try this one! It is described as a nutri-active and nourishing cleansing balm and I can definitely confirm that it is nourishing - perfect for dry skin. The texture isn't too stiff, which means that it is easy to dispense from the tube. It is a real treat to massage into the skin as it's moisturising but it doesn't leave any film on the skin - instead, it leaves my skin really clean, soft, hydrated, soothed and comfortable. I adore this cleanser and would go as far as saying I prefer it to the Renaissance Cleansing Gel because it nourishes my dry skin more than the gel. 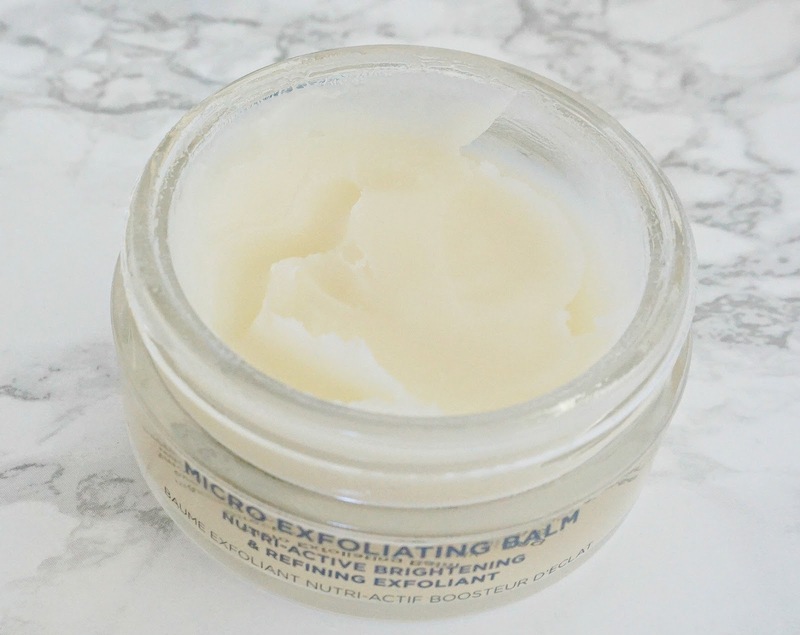 Oskia Micro Exfoliating Balm: I only occasionally use physical exfoliants because I mainly use acids but every so often, I feel the need have a good scrub but I don't want to use anything too harsh that might rip or tear my skin. This is a creamy balm that has some grittiness, but isn't harsh in the slightest. I massage this into my skin and then emulsify with water before rinsing but for an even gentler scrub, you can mix with water before applying to the skin. This balm leaves my skin super soft and I find that all products absorb really well after using this product. 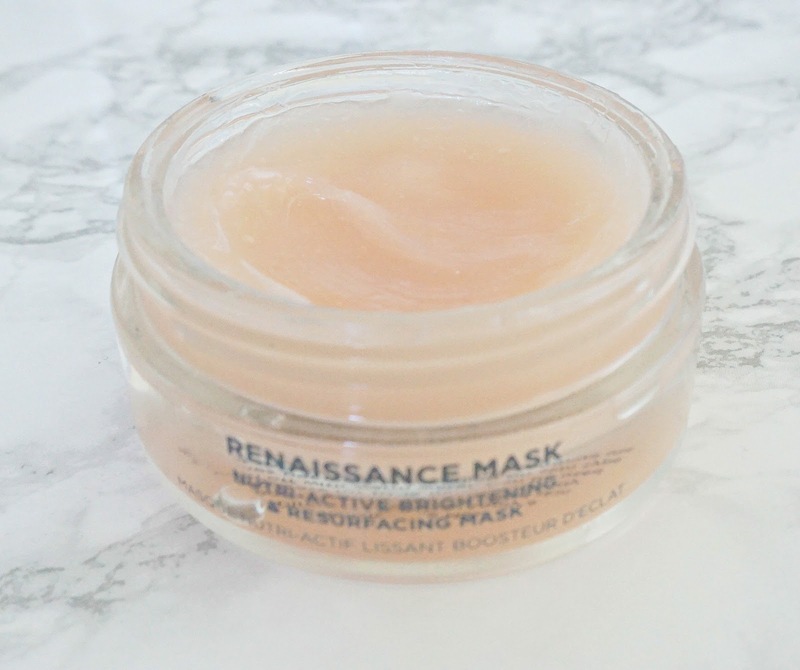 Oskia Renaissance Mask: I've mentioned this on the blog so many times previously because, simply put, this is my favourite ever mask! It cleanses, exfoliates, hydrates, brightens and renews my skin leaving it soft, smooth, refined, radiant and bright. It is peach in colour but it changes to white when it is sufficiently massaged into the skin, at which point you know you can stop massaging. I leave it on for around 20-30 minutes to work its magic. The fruit acids exfoliate and de-congest the skin, leaving it looking bright and smooth and looking like I've had a facial. I have repurchased this several times & it is now a staple in my skincare collection. Super 16 serum: Oskia kindly sent this to me late last year and I was delighted because I had never used any of their serums or oils before. It is named Super 16 because it contains a combination of 16 super nutrients and bio-actives, all of which help to boost collagen synthesis. 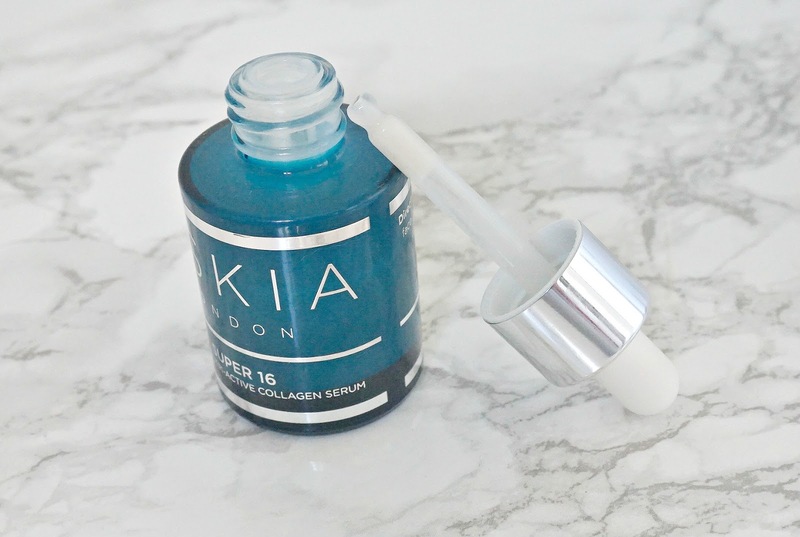 I find this serum to be soothing, healing, hydrating and strengthening on my skin. I am currently on a lot of medication for Lyme Disease, which results in my skin being quite inflamed at times and I can rely on this serum to reduce that inflammation. The benefits aren't necessarily seen and felt straight away but with consistent use, the results are obvious. All of these products give very visible and tangible results, so although the products are in the high end price bracket (although less expensive than a lot of high end skincare brands), they are worth the money in my opinion. I challenge anybody to try Oskia products and not see an improvement in their skin. I definitely want to explore the brand more. 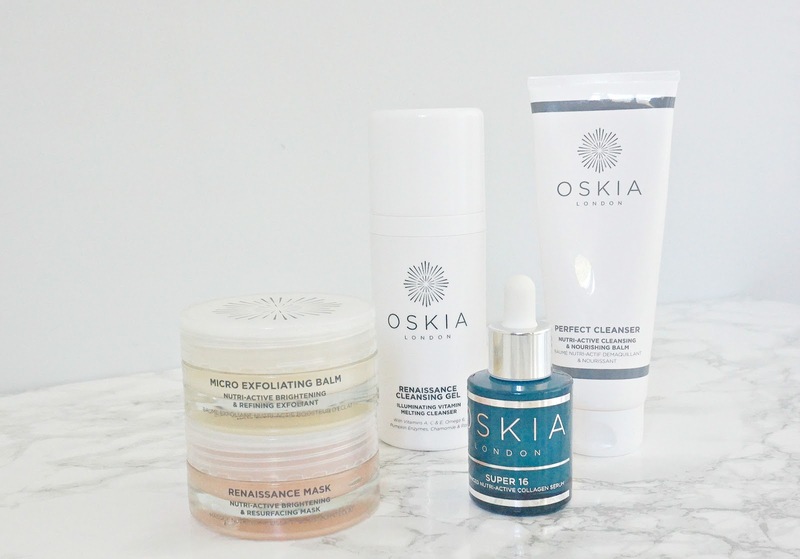 Oskia products can be bought directly from their site, Look Fantastic, Cult Beauty and Beauty Bay (which I find is the cheapest option for those of us living in Ireland). Have you tried any Oskia products? I would love to hear your thoughts & recommendations in the comments below! All products are bought by me, unless otherwise stated. Super 16 was sent to me but I bought the other products. Opinion is always my own.